The video below was attacked by Themtube shills, and I think it’s an excellent one, so I’m sharing it to give some much-needed perspective to the possible scenarios we might see when the new Military Tribunal law goes into effect on January 1, 2019. I’ve never seen this fellow, Law Johnston, before but I like his style. We, the independent “digital warriors” process the information we get as we see fit, and it always bears our own personal stamp. It sure beats all those “bubble-headed bleach blondes” that read the teleprompters. As Steve Motley, Retired Marine said yesterday in his Dec. 29 video (shared yesterday), Martial Law is not expected nationwide in America. It would be a localized measure if the cabal terrorists such as ANTIFA get out of hand in specific communities when arrests begin. Steve mentioned “sanctuary cities” as possible targets but we won’t know until the time comes—or it doesn’t. Things could go really quietly and smoothly and it might be business as usual in 95 percent of our communities. The unconstitutional acts committed against civilians in Louisiana following Hurricane Katrina and after the Boston Marathon Bombing false flag event will NOT be happening this time around because those were cabal mercenaries, not the People’s military. According to shill JonXArmy (not really a former military guy, some say) his fellow patriots in the military are going to go door to door confiscating Americans’ guns and enforcing curfews. I guess shills don’t have to be able to make any sense at all. Why would he paint the military that way if he is former army? FEMA will not be involved. Why would they? No one is going anywhere except the criminals. We will all be snug in our homes, or going to work, or whatever else we do. We will be given instructions if the military will be in our area and all we need to do is comply and stay out of the way. 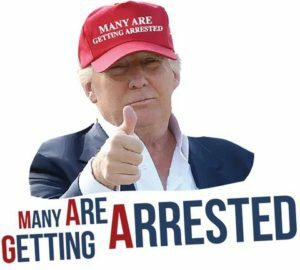 With every criminal cabal member arrested, we grow more free. We are liberated as they go into custody. Every precaution has been taken to ensure no civilians are harmed or go without necessities. This has been planned for years, and you know how the military are about planning, procurement, execution and maintaining that “need-to-know” basis for information. Don’t make a bigger deal out of it than it is. Anyone who has common sense and pays any attention to QAnon can see this is all planned well in advance, the EAS Presidential messaging system was tweaked and tested, and it will all go off without a hitch. President Trump and his military will keep America safe. We need to cooperate and keep a cool head. The world is watching and we want to be on our best behaviour as we write a new chapter in the annals of history for future generations. We are experiencing the Greatest Show on Planet Earth, with front row seats. Look how much the snoozers are missing. I suspect most Americans will not see arrests being made OR experience a martial law scenario, but Law Johnston says get your camera ready. If it will be that public, and the lamestream media is alerting their audiences then I can see there might be skirmishes with whack-jobs. Will there be extractions in the wee small hours? Possibly. I hope they get JonXArmy, lol—and the lying turds in the media. Just be prepared with what you will need on a daily basis in case you are required to stay in your home for a period for your safety. There’s no telling what gangs of mind-controlled, bought-and-paid-for thugs will do if activated. I suppose there is always the possibility of attacks on the power grid but we should all be prepared by now. This entry was posted in Uncategorized and tagged cabal, deep state, EAS, FEMA, Law Johnston, love, martial law, mass arrests, military, Politicians, presidential alert, QAnon, sovereignty, Starship Earth, tribunals. Bookmark the permalink.